When visiting Liverpool during December you are pretty much guaranteed to be spoiled for choice when it comes to things to do. To help you organise yourselves on the lead up to Christmas we’ve broken down the top evening events in Liverpool into easy to swallow chunks of loveliness in part one of our Liverpool Christmas guides. 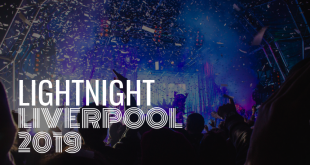 Time to pop some dates into your calendar around all that Christmas shopping, work nights out and the dreaded night of wrapping as we round up all the best nights out in Liverpool taking place before Christmas Day. Liverpool’s top social quarter is jam-packed with some of the most exciting night events in Liverpool during December. This year there seems to be a recurring retro theme across all the venues so come along and get nostalgic in the Baltic Triangle this December. 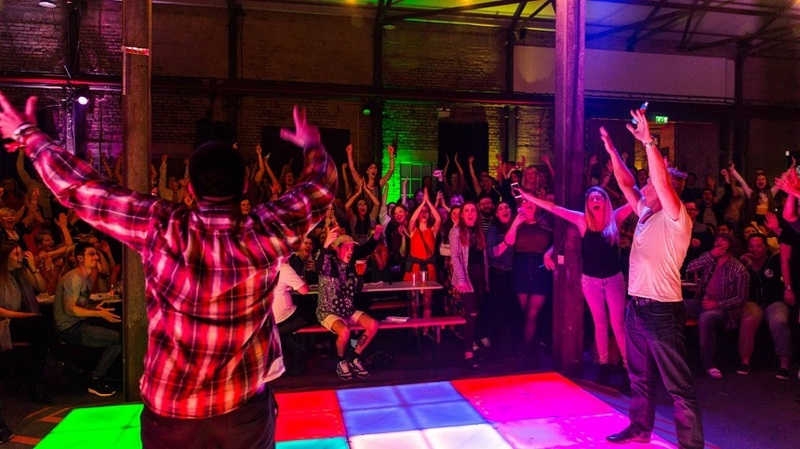 Pop on a pair of sequinned flares, grab those platforms and fluff up your disco hair-do as it’s time to “Get down on it” at Camp and Furnace 12 Days of Disco spectacular. They are breaking out the disco balls as well as pumping out a massive selection of classic disco beats from the decks that will no doubt bring on a dose of “Night Fever” in everyone who attends. Tickets are selling for just £8.25 per person. 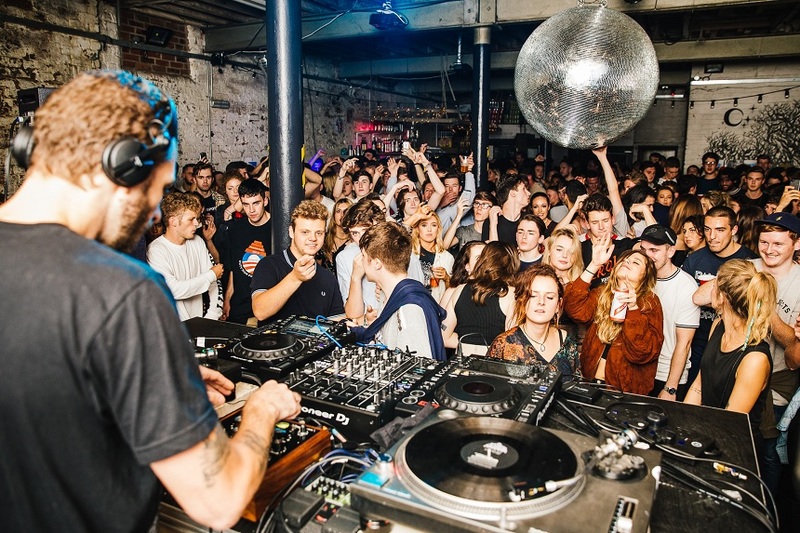 Best breakthrough DJ, Job Jobse, will be headlining at Baltic Winter Weekender’s hotly anticipated launch party to kick off another celebration of music and culture in the city. Coming to Liverpool for the very first time all the way from the capital of happiness; Amsterdam, Jobse will be lighting up Liverpool’s dance scene at 24 Kitchen Street showing off his celebrated DJ skills. Early bird tickets are sold out but general release are still available from £14.00 per person. Spend the night celebrating two decades that brought us great music and questionable fashion trends at the Can’t Touch This 80s and 90s Crimbo Special brought to you from Camp and Furnace. 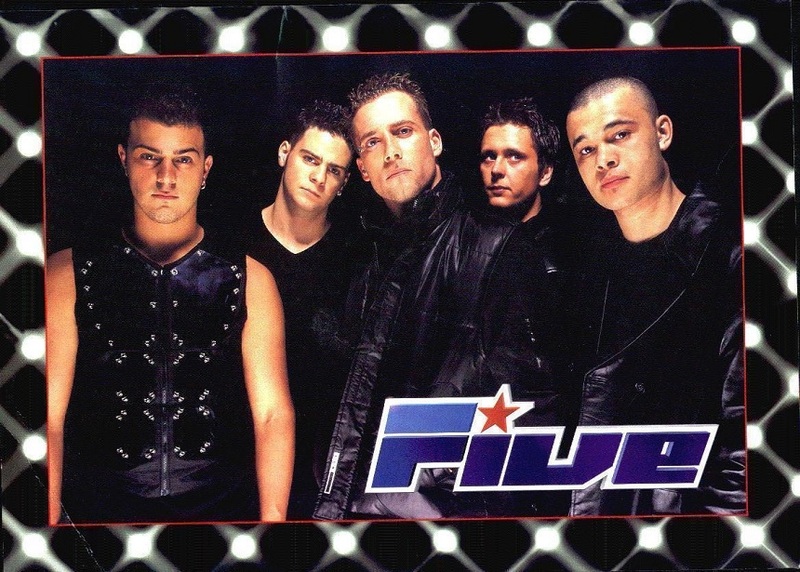 Meet the guys who “Slam Dunked the Funk” throughout the late nineties as Five make a public appearance and enjoy raving your way through back catalogues of Technotronic and nineties dance sensation Pianoman. Then slip back even further to tunes from Madonna, Gloria Estefan, Wham and all those eighties icons we know, love and worship. One of those cracking Christmas evening events in Liverpool you simply don’t want to miss. No general tickets left so why not go VIP for £38.75 per person and jump the queue, get a seat and meet the artists. Say “Merry Christmas ya filthy animals” as Liverpool’s first Home Alone themed Christmas bar is opened inside Cains Brewery by the people who brought us ghetto golf. Step into a replica of Kevin’s famous family home complete with swinging paint tin booby traps, that inflatable clown and images of a young Macaulay Culkin all over the walls. Why just watch Home Alone this Christmas when you can live it during one of the quirkiest Christmas bars in Liverpool ever to be seen. Entry to the bar is just £16.75 per person and tickets are only available for one more week so hurry and get yours now. Think funky festive tunes with a soulful edge when you attend the wrap party of Liverpool’s Soul Jam. This is one of those nights out in Liverpool that has sold out every date thus far and its little wonder why. 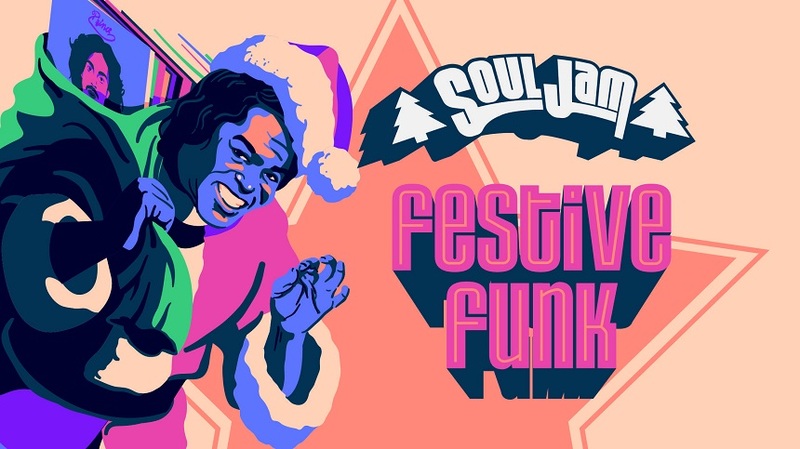 The team at Constellations have organised this final night of unadulterated festive funk just for your enjoyment so come get down with your bad selves for the last time in 2017, SoulJam-style. Tickets are available to attend one of the funkiest events in Liverpool for just £8.00 per person. 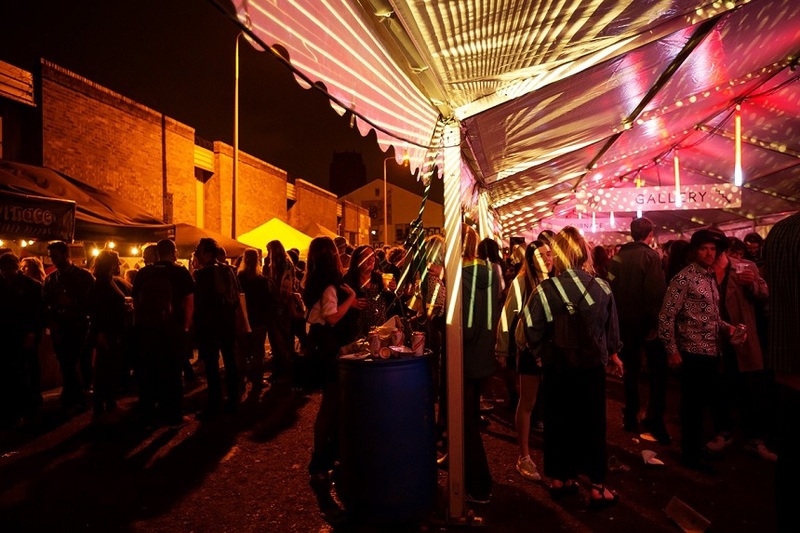 Another of the retro evening events in Liverpool is taking place at Camp and Furnace. First, is an ABBA tribute night brought to audiences by one of the UK’s top ABBA impersonators; Abbasolutely who rock all the top hits including Mamma Mia, Waterloo and many more. 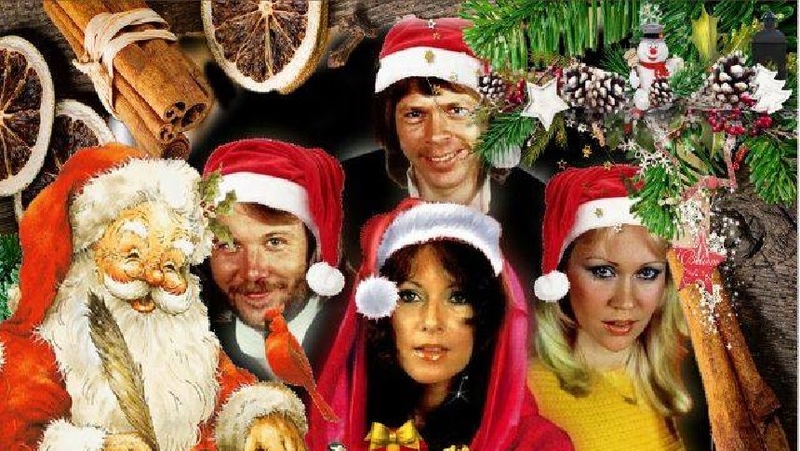 The dress code calls for the craziest of Christmas jumpers and a love of all things seventies for Knowing me Knowing Yule ABBA night on from 18:00 – 03:00 and tickets are still selling from £11.00 per person. 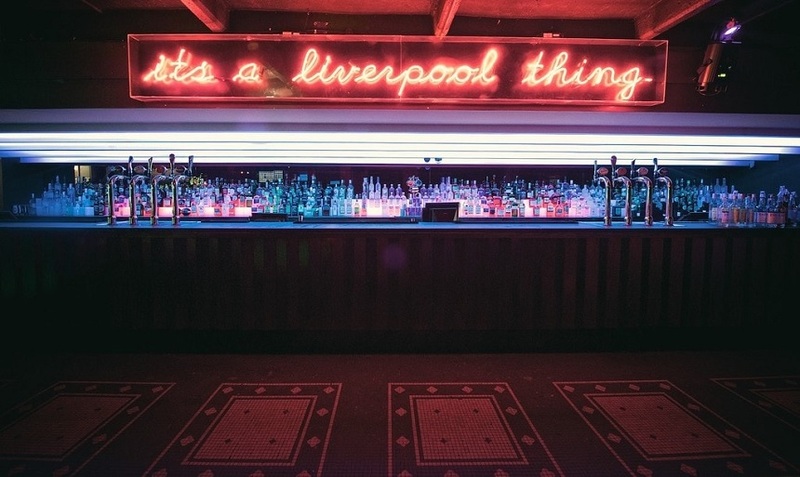 When it comes to quiz nights the top nightlife venues in Liverpool have hit the nail on the head providing trivia paired with plenty of drinks, great food and a brilliantly buzzing atmosphere. During December the quiz calendar is packed with quiz nights in some of the cities most well-loved locations. Brush up on your sitcom smarts and mastery of movie facts before making your way to one of these superb Liverpool quiz nights. Do you know your Frodo from your Faramir? Could you find your way from Gondor to Mordor? If you fancy yourselves a bit of a Samwise then get your fellowship together for a Lord of the Rings quiz night at The Merchant. There’ll be top prizes given away and the chance to prove you and your kin are the rulers of middle earth. Hairy feet or not everybody is welcome. Discount advance sale tickets are available now for £3.50 per person. 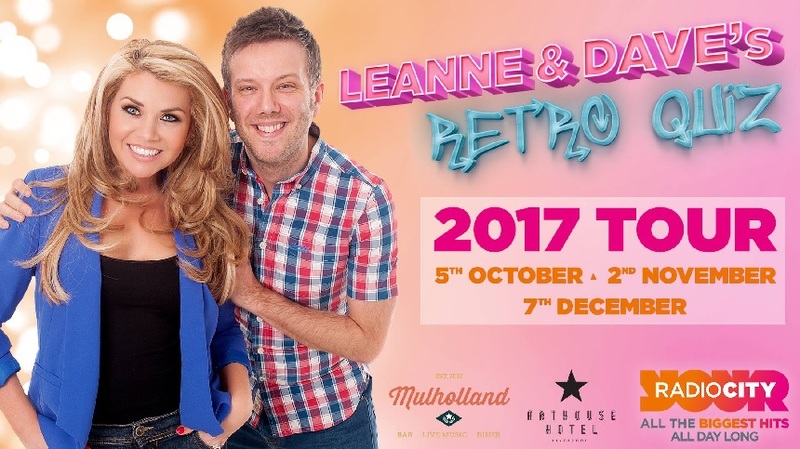 The cities favourite breakfast radio presenters are coming to Mulholland bar of Arthouse Hotel for one last night in December to host a totally retro quiz. The evening promises to be one of a quizzical nature with funky tunes from the chart-topping archives and the chance to get your hands on some boss prizes. So sharpen your quiz knowledge up and pick a top team name for the last of Leanne and Dave’s Retro Quiz of the year. Not just your average pop quiz at Ya Nan’s this year, oh no! The Nan at Camp and Furnace has a few general knowledge questions but then ramps things up in the way that only Nan can. Prepare to Air Guitar, Lip Sync and take your chances at “Are you courting yet?” dear old Nan’s version of Blind Date. No Nan’s party would be complete without a few inflatables and confetti cannons thrown in for good measure. Topping all Christmas nighttime events in Liverpool, Ya Nan’s Big Christmas Quiz is where it’s at this December. No surprise nan’s gaff has a waiting list for tickets! 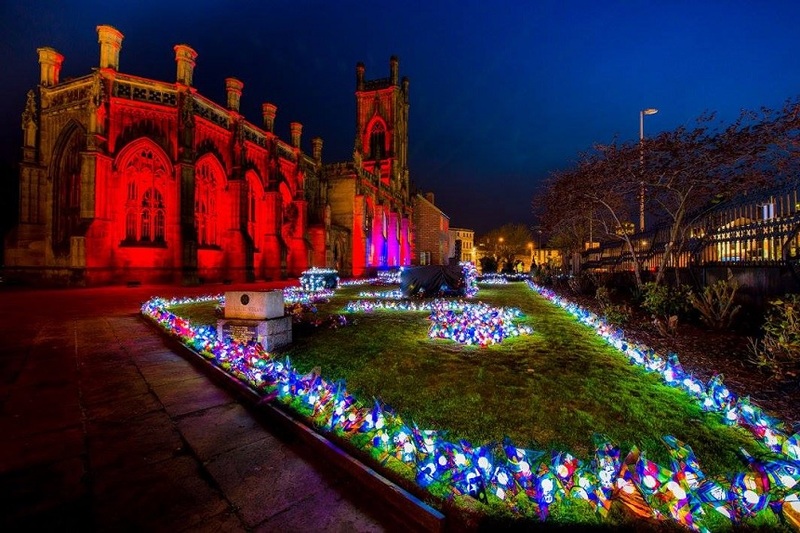 For a magically themed pop quiz, there couldn’t be a better venue than the Bombed-out Church, Liverpool’s very own Great Hall. Make your way into the restricted section of the library to brush up on Fantastic Beasts and Where to Find Them. Whip out your wands and get reciting those spells as you never know what little bit of movie trivia will help you and the other muggles win coveted prizes such bar tabs at Baltic Market, bottles of bubbly and trunks full of Harry Potter goodies. One of the fastest selling quiz events in Liverpool has added more dates to meet demand. Don’t be a squib and scrape your Knuts, Sickles, and Galleons together and get yourself on the waiting list. 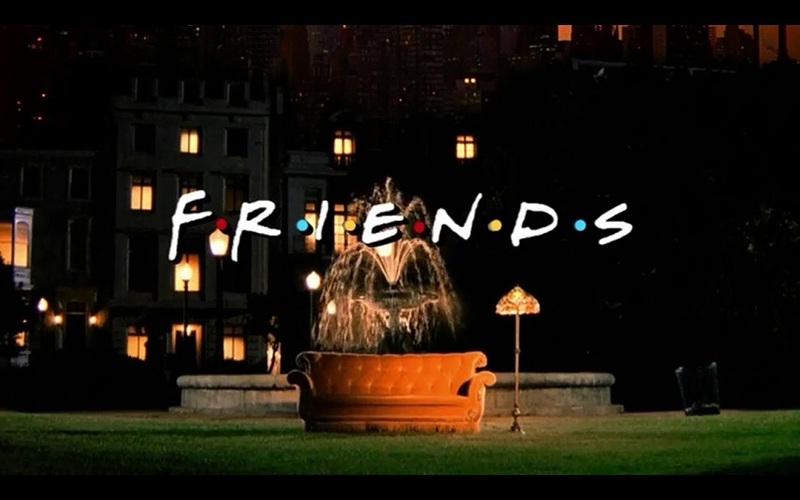 Friends is and always will be the sitcom of all sitcoms. Its what started the whole thing off and is as popular today as it was over a decade ago. We all think we know Friends like the back of our hands but when it comes down to it do you know what Chandler does for a living before he’s in advertising? Can you count how many times Ross and Rachael were an item? And can you list all the big celebrity cameos? 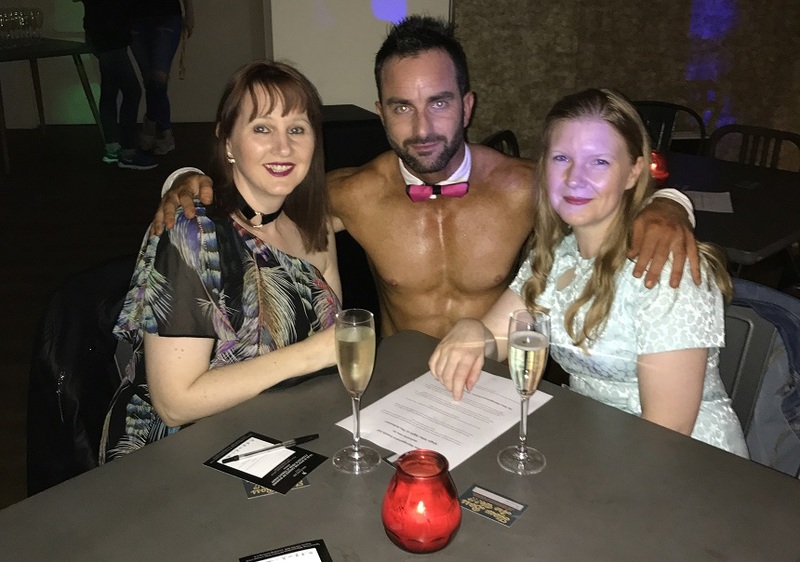 There are some big prizes at stake including bar tabs at Baltic, bottles of bubbly but mainly its pride that’s up for grabs earning the title of the king or queen of Friends. Come and show the world that you are . . . sorry . . . that you have Unagi at the Friends quiz in the Bombed-out Church and earn top bragging rights for life. Tickets are selling fast at only £7.70 per Friend, buy now to make sure you’re not phased out of the group. If you struggle to separate your Return of the Jedi with Revenge of the Sith and don’t know your Jar Jar from your Jabba this isn’t the Liverpool quiz night for you. 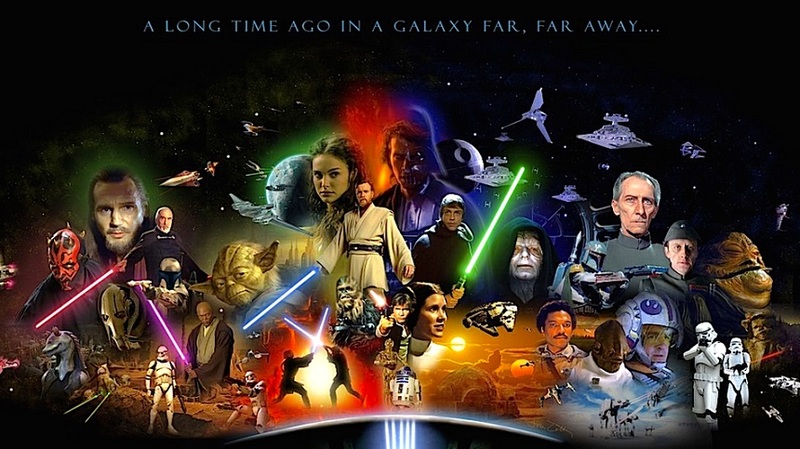 That’s right another movie themed quiz night is taking place at The Merchant bar and unless you can sense the force is strong take a back seat. There are plenty of contenders who seriously know their stuff and when it comes to the Star Wars Saga quiz a strict no Paduan entry policy is enforced. This is a night for true masters of the force and their unending knowledge of the greatest space-based movie marathon of all time. Tickets for a quiz that’s simply out of this world will cost you twenty Galactic credits or £4 if you’re all out of Star Wars pennies. This is everyone’s chance to put their mines of useless information to good use. These are the best quiz events in Liverpool with a massive selection of top quality prizes up for grabs. Make it a month to remember and show you know your stuff at a Liverpool quiz night this December. 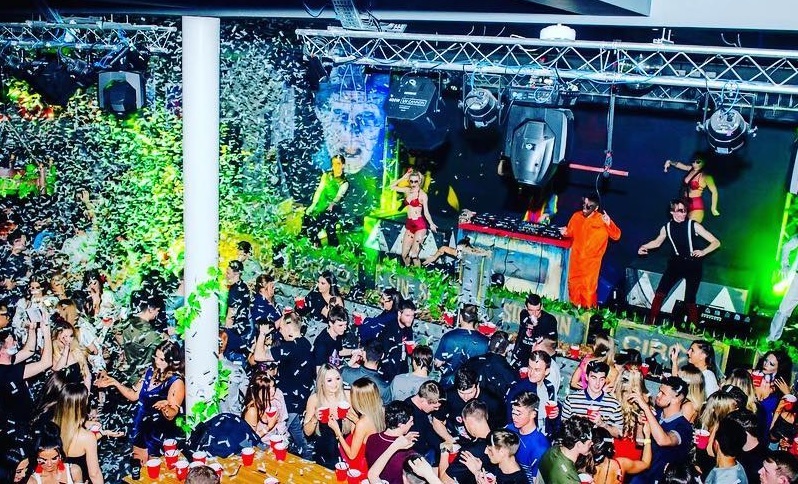 Perfect for up and coming office Christmas parties, nights out with your friends or just a place to visit after a long day of Christmas shopping, there are some exciting bar and club events in Liverpool happening inside our favourite venues. We’ve picked out a selection of the best pre-Christmas nights out in Liveprool just for you right here. Everyone is invited to a pre-Christmas party at the Bombed-out Church in celebration of the wonders that are rum and Prosecco. Alongside a selection of toe-tapping, live music will be a boutique specialising in a variety of rums. For those who prefer the bubbly stuff, an exclusive Prosecco will be available and you’ll have the option to Pimp your Prosecco, customising your glass of fizz to your unique tastes. There’s even a little Christmas gift of a limited edition rum glass which is yours to take home following the booze-soaked shenanigans and plenty of fabulous local Liverpool food from popular independent vendors. Tickets are available from £8.00 for daytime sessions and £10.00 for the evening. Unlike any other 5th birthday party you’ve ever been to before, come and wish Bierkeller a happy one with free entry to what promises to be one of the most exciting bar events in Liverpool this December. 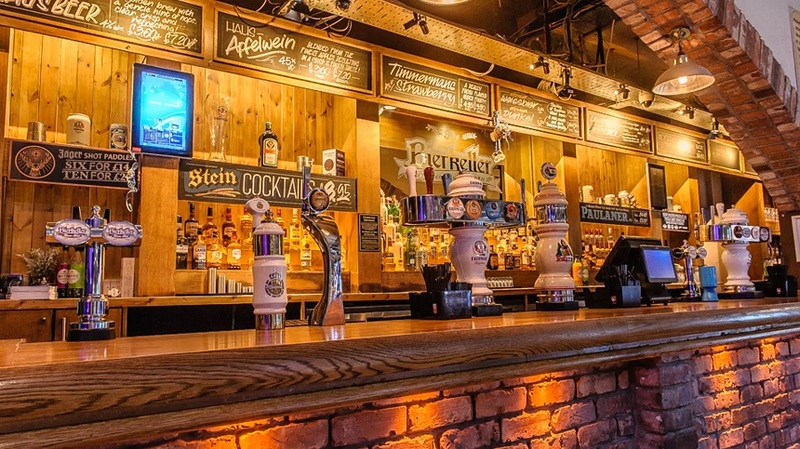 Taking place at the Around the World Bar and Lounge inside Liverpool One’s Bierkeller will be a live performance from a talented former X Factor contestant, goody bags with cupcakes and a selection of the best beers on the planet. This is the busiest beer bar in town so its likely to fill up and only the first hundred party guests are guaranteed that goody bag. Free entry all night long. Do you struggle with wine choices at Christmas, wonder what wine would complement that delicious Christmas dinner or which bubbly makes the best Bucks Fizz? 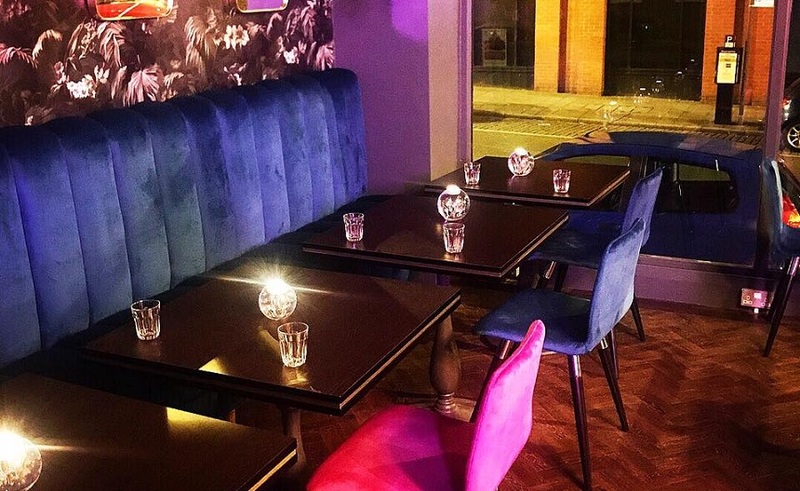 Make your way to the cosiest wine bar in Liverpool at Lock and Key where a top tipple expert will walk you through a selection of the best booze to get you through Christmas day. It’s not just about the bevvies either as the talented Lock and Key chef has put together trays of tasty party foods to keep you going through the evening. As far as pre-Christmas food and drink events in Liverpool go this is one where you can learn whilst drinking and nibbling the night away. Tickets include entry, wine, fizz a welcome cocktail and nibbles and are selling fast at £22.25 per person. 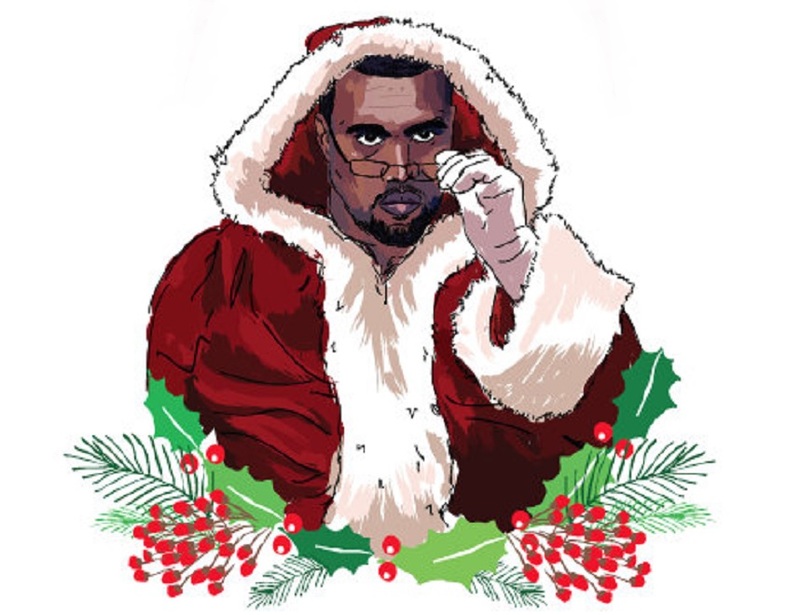 A night of pure Christmas bangers that were sent down from the self-professed god that is Kanyeezy, Buyers Club Liverpool are putting on a Come All Ye Faithful: A Kanye Christmas Party. This is a night spent celebrating (or worshipping) the star whose “presence is a present” alongside a whole host of other top hip-hop acts. Get your hands up and “Touch the Sky” at The Buyers Club for what’s sure to be one of the greatest hip-hop events in Liverpool before Christmas. Early bird tickets are selling now for £4, group tickets are £20 and general release is just £6, a Yeezy party with a less than Yeezy price tag. The lead up to Christmas is a truly magical time and it doesn’t get much more magic than Mike and the boys over at Arthouse Hotel. In a showstopping performance at which one or two ladies might get to unwrap their, Christmas presents early this year. Arthouse’s Festive Magic Mike Night is sure to warm you up on a cold December night and for our regulars, it’s the last we’ll see of the boys until 2018. Forget all being calm but it will be bright in Circo for their Not a Silent Night pre-Christmas show. Join the Circo stars as they take you all on a ten-hour journey filled with top class DJ’s and spectacular stage shows in celebration of Mad Friday. It’ll be a long night spent in crazy company at Circo’s Not a Silent Night so bring your partying pants to Liverpool and start Christmas off with a massive bang. This is one of those amazing club events in Liverpool you’ll never forget and with tickets selling at just £6.00 per person it’s the perfect Christmas party bargain going. 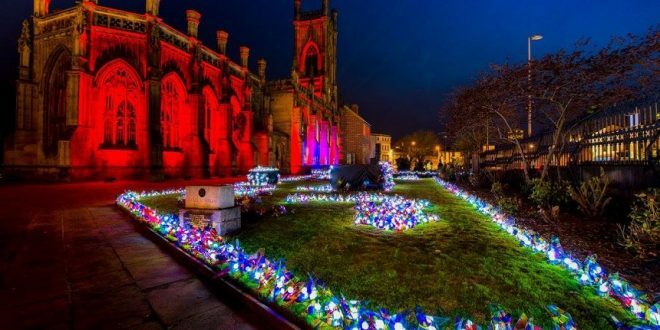 Plenty of amazing evening events in Liverpool to keep you entertained on the lead up to Christmas. Keep your eye out for part two and three of our guides to spending Christmas in Liverpool as well as the cities Best Boxing day events and where to spend the most unforgettable New Years Eve parties in 2017.